It’s not too early to save the date! House Happening 3 will be December 17 – 20 at the Woodruff-Fontaine House. Above is a sneak peek of our photo shoot. Mark your calendars for this fun and festive dance experience! Lots of fun things are happening with us this fall. 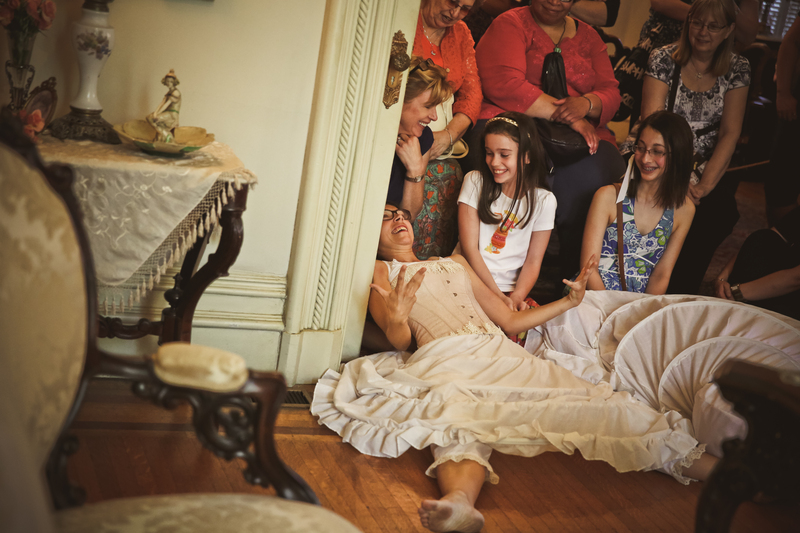 With the success of “House Happening” at the Woodruff-Fontaine house (see the photos here), we’ve decided to bring modern dance into the community through several exciting projects during this MOBILE season. Our modern classes continue to be held at Theatreworks Monday nights at 7 pm and Saturday mornings at 10 am. Come dance with us! 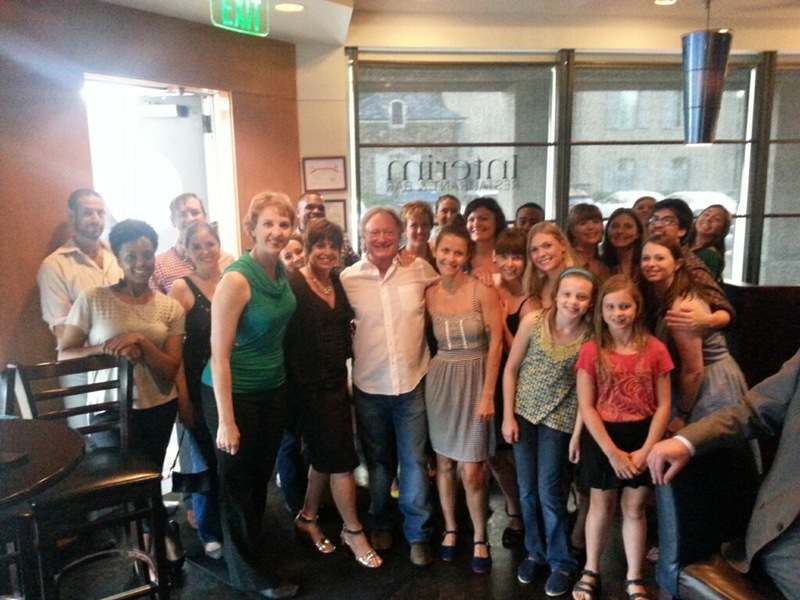 A group of Project: Motion dancers presented a flash mob for a birthday party at Interim restaurant on August 13. It was a complete surprise to the birthday girl and other restaurant patrons, and the dance to “Sugar Pie, Honey Bunch” brightened everyone’s night. We’re set to perform at the ArtsMemphis “Beauty and the Feast” Culinary Series dinner on September 30 at Earnestine & Hazel’s. It’s a sold-out event featuring chefs Kelly English, Patrick Reilly, and Jason Severs. In October, we’ll perform again at the Woodruff-Fontaine House at the Dead Poets’ Dinner on October 26. Cocktails are at 7 and dinner is at 8 pm. Contact AJ at 901-526-1469 for more information and tickets to this spooky event. Stay tuned for info on our MOBILE season. For questions, contact emily@projectmotiondance.org or 901-214-5327.